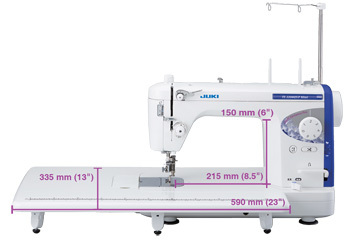 The JUKI TL-2200QVP Mini is a single needle, lock-stitch, portable sewing machine, constructed of aluminum die-casting to ensure industrial-quality sewing. 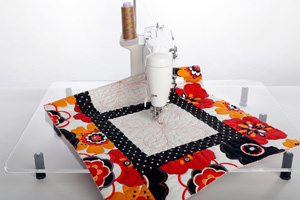 The TL-2200QVP Mini can handle large quilts with ease! 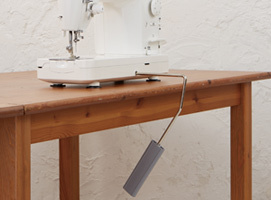 Automatic Needle Threader quickly and easily threads the needle. 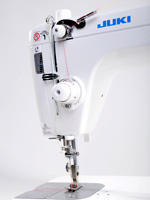 Change the needle position to up or down as desired by simply pressing a button.